I have often speculated that certain foods belong to a specific place or time. Try to reproduce them out of that place or time and you are only inviting failure. 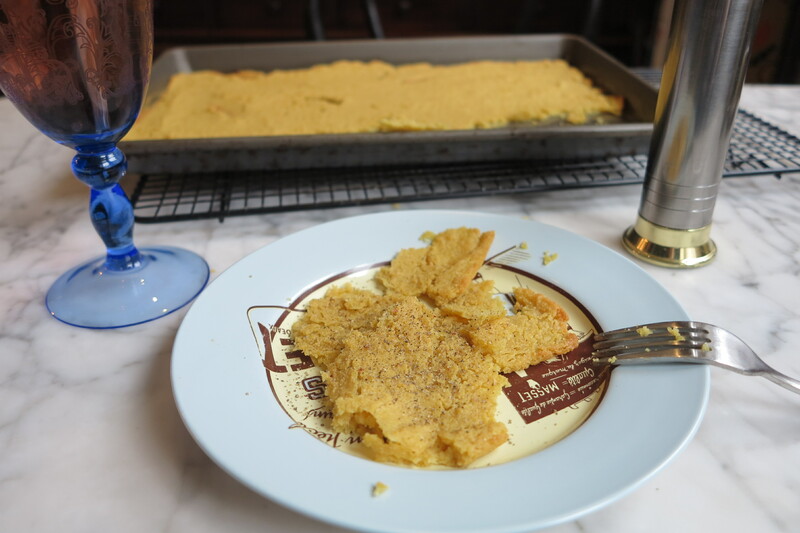 I have to say that Socca, this week’s French Fridays with Dorie recipe, struck me as the perfect example of such a recipe. Socca, for those who are not familiar, is Nicoise street food. In Paris you get crepes, in Nice you get socca. Crepes are made with wheat or (better yet) buckwheat flour, socca is made with chickpea flour. Crepes are topped with sugar and fresh lemon juice (well, they are when I order them! ), socca is topped with fresh ground pepper. And as I type this it is becoming clear to me why everyone has heard of crepes and why so few have heard of socca. Chickpeas and pepper anyone? Which brings me back (in an ever so round about way) to my original point. Socca is best made by a street vendor who has the right equipment and it is best eaten hot off the griddle while standing on the sidewalks in Nice, preferably with a glass of chilled rose in your other hand. My puny little oven simply wasn’t up to the task of tackling this recipe and the results were, well, uninspiring. Hopefully my fellow Doristas had better luck. Sorry it wasn’t a hit…I’d love to taste the real thing in Nice to see how our homemade versions compare. Was a winner for me but then I have a built in socca oven in my condo. 🙂 I do hope to taste the real thing sometime. So sorry, Rose, how disappointing. This was actually a hit in my house. My oven holds heat very well, and did a good job with this one. However, I would so prefer to be eating this in Nice! I think a hot well oiled street grill is the only way this is really going to taste great. I completely agree with you Rose. And even if they come out right in texture, they don´t taste the same! Have a good weekend! Sorry this wasn’t a hit. Sorry your oven didn’t cooperate. I never had this before, so didn’t know what to expect. Mine did come out nice and crispy but now you’ve got me wondering about the original. Maybe I need to plan a trip to Nice? Bummer it didn’t work out. I found out my oven actually goes to 550 with this one. Good with goat cheese. My oven worked but I think I needed to make it a little thinner. Having not had it before and with no picture to go by, I found it hard to picture in my head what it was supposed to look like! Sorry this wasn’t a hit – you win some…. Oh man. That makes me not want to even try. 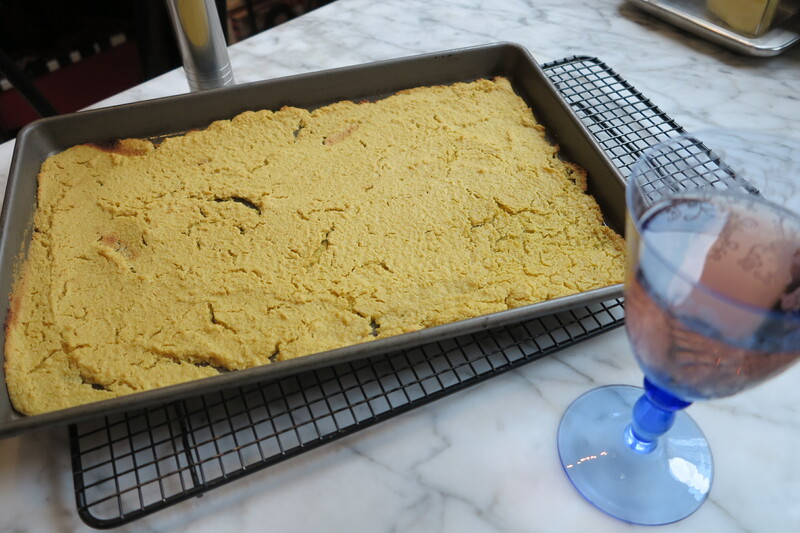 You know–if I ever find chickpea flour that I doubt I’ll use again after this recipe. There are definitely some things that are better left to the professionals! I liked this, but I agree that it doesn’t compare to the one I had in Italy. I’m sorry it didn’t work 😦 The first time I made socca I had a similar problem and then I thought why not put it in a pancake pan on the stove top and make it like a pancake! and it worked it turned out a bit thinner than the original recipe but it holds together perfectly! Rose, well, you already know about probably having to add a bit more water (maybe one half cup) to the batter since you bought the roasted chickepa flour at the health food store! 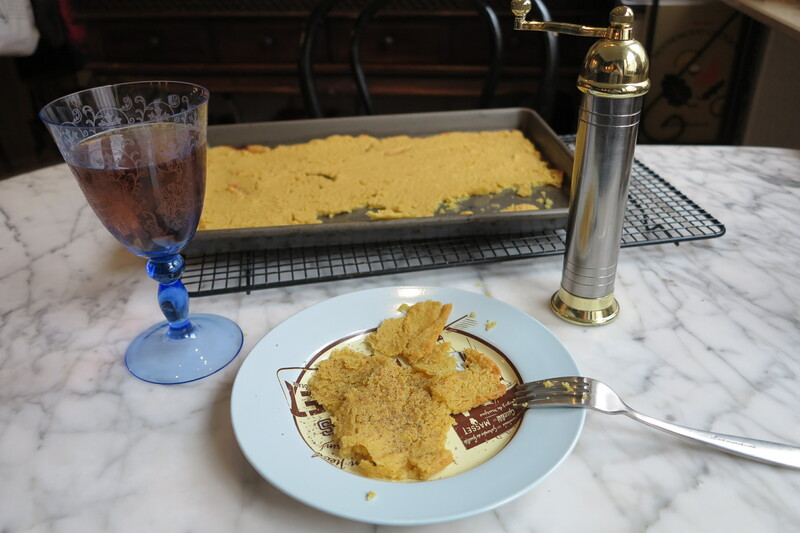 Maybe you will have another go at this recipe and like it better then!